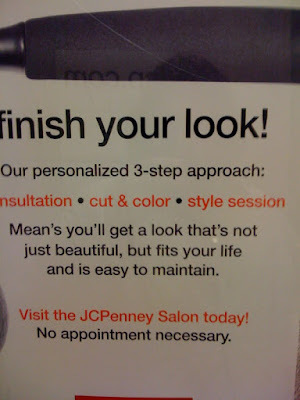 I didn't even know that JCPenney had salons. You learn something new every day. And JCPenney need to learn how to use apostrophes correctly. "Mean's"?? That is horrifying. How Did This Person Get Into College? Should There Be an Apostrophe in Presidents Day?